Capturing rays of light requires a small aperture and the right conditions. Using the “aperture priority” setting available on most digital cameras (discussed in last month’s Picture This) allows us to manually set a desired f/stop (aperture) while the camera automatically chooses the shutter speed to give us a proper exposure. While many shooting situations such as portrait or wildlife photography benefit from using wider apertures because of their ability to gather more light, especially in the early or late hours of the day, there is a special case where choosing extremely small apertures such as f/16 or f/22 really shines — shooting sunbursts or starbursts. 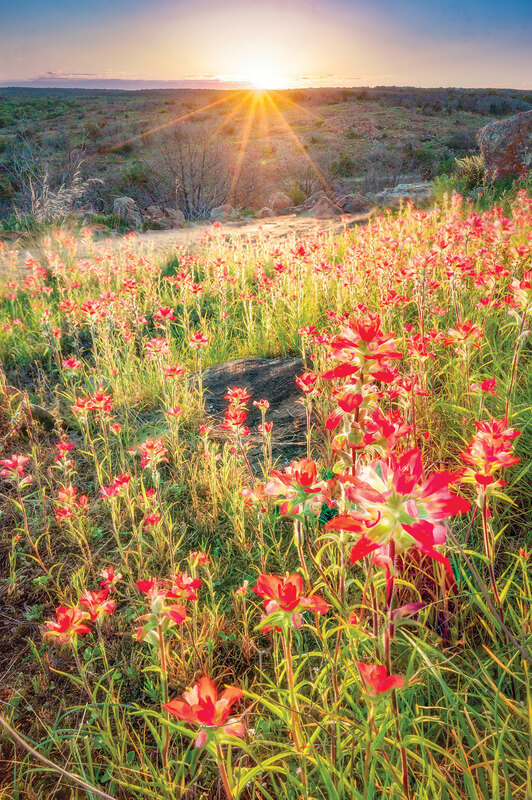 Sunbursts and starbursts are often found in those eye-catching landscape images where multiple rays of light radiate from the sun or other light sources such as streetlamps or headlights. The secret to successfully recording them is to use the widest angle lens you have, combined with a small aperture. Lenses in the range of 16mm to 24mm are ideal. While wider apertures will generate some bursts, the effect is enhanced when using a lens’ smallest aperture. 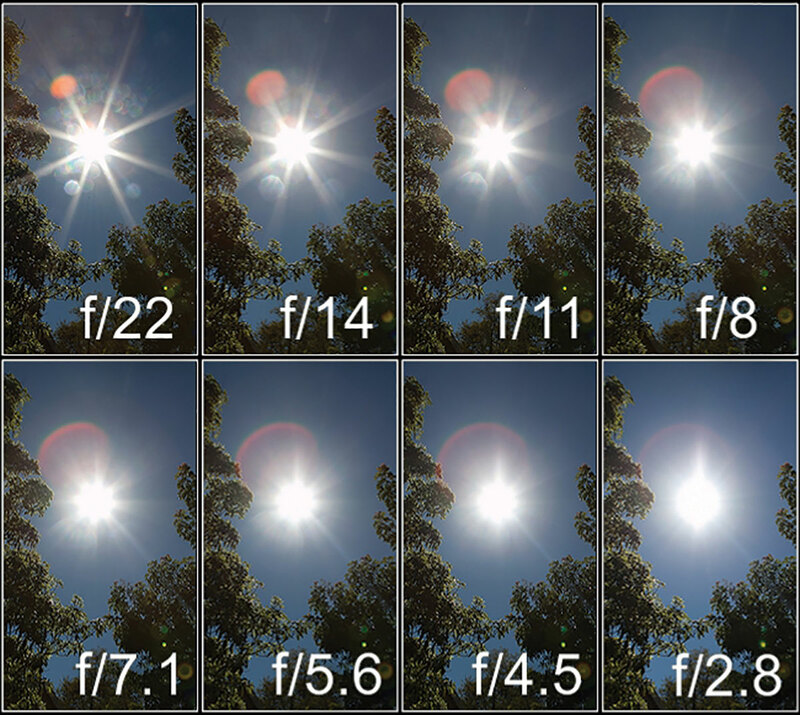 The number of rays emanating from each light depends on the number of aperture blades of your lens. Lenses with an even number of blades generally produce one ray for each blade. Interestingly, lenses with an odd number of blades produce twice the number of rays per blade. Typically, there’s a range of six to 18 rays, depending on the lens. Sunbursts are best captured either early or late in the day as the sun sits just above the horizon or when it is partially obscured behind a tree limb, mountaintop or other object. It is often necessary to move the camera slightly one way or the other to find the perfect position where the sun just begins to emerge. Trying to capture a sunburst against an unobscured sky will often result in just a large overexposed patch of white sun without rays. For daylight shooting, a low ISO speed of around 100 is recommended. When shooting toward any bright light source there is always the possibility of unwanted lens flare, usually caused by a dirty lens or filter. It’s like driving with a dirty windshield. If possible, remove any filter and use a proper lens cloth to remove any dust or fingerprints from both the front and rear elements. Never look directly through a viewfinder at the sun. If possible, view it only through the LCD or other electronic viewfinder. Also, leaving your lens pointed at an open-sky sun for a prolonged period can damage your camera. Using the same small-aperture concept after the sun goes down, radiant starbursts can be captured at night from any bright and stationary light such as streetlamps or party lights. The possibilities are endless. A tripod or other stable surface will be needed because of the very long shutter speeds resulting from the small aperture. Be prepared for exposures up to 30 seconds! For shorter shutter speeds you can experiment with higher ISOs, but be aware that digital noise increases with the higher ISOs and can potentially degrade your image. Most current cameras can perform nicely until around the ISO 1,600 range before introducing noticeable noise. Please send questions and comments to Earl at earl.nottingham@tpwd.texas.gov. For more tips on outdoor photography, visit the magazine’s photography page at tpwmagazine.com/photography.